Exploring the Human Experience from a Christian Point of View. Fridays/Saturdays at 7:30pm, Sundays at 2:30pm (In cases of sell-outs, additional Matinees on Saturday may be scheduled). Note:The show is recommended for all ages, although younger audiences may not hold their attention due to the show’s length. Set in 1963 Caroline Thibodeaux is a 39 year old African‐American being crushed under the weight of dreams of the life she should have lived, and the Job‐like reality she struggles with. Currently employed by the Gellmans, a middle class Jewish family, Caroline has been working under the poverty level as a maid for 22 years, struggling to support her four children in the absence of her husband, a WWII veteran whose inability to find work to support his family lead him to abuse & alcoholism. She works all day underwater talking to the washing machine, the radio, & the dryer because God has handed her a life of burden so great, she can’t talk to people without unleashing a barrage of bitterness and hate and she can’t talk to God without seeming disrespectful, unfaithful, & weak. Thru mutual grief, she has developed a bond with the eight year Noah Gellman, who recently lost his mother to cancer (Caroline also lost her mother to cancer). His father, Stuart, recently remarried his wife’s best friend, Rose, who is insecure in her new role as wife (Stuart is in denial of his grief, which consequently makes him oblivious to his son’s life); mother of Noah, who resents her, and employer to Caroline, who refuses to accept her friendship and offers of assistance, which Rose fears seem patronizing. 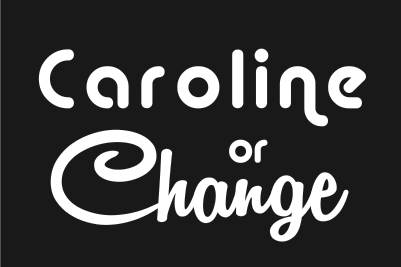 Attempting to assert herself and bond with the child, Rose institutes a new rule that allows Caroline to keep any pocket change that Noah, and eventually Stuart, leave in their pockets, in guilt over not being able to give Caroline the raise she deserves. However, Caroline, a prideful woman, is often and easily insulted about having to take money from a child, but needs the money desperately for her own family. This story arrives at a climax in a devastating racially & religiously charged fight between Caroline and Noah, but ultimately, a series healings and revelations for many of the characters. This is set against a country experiencing sweeping changes in politics and gender equality. Some characters embrace these changes, some do not. As Christians, we know the cost of change is often paid in the power of blood, which symbolically is represented in the play by the assassination of John F. Kennedy, almost a messianic figure here, who had promised a better life for people like the Thibodeauxs and Dottie. How do we change, when prayer is not enough? It’s normal to have doubts and fears during times of crisis, but even the ugliest, messiest moments can lead to grace, and real change, if you’re willing to endure suffering and trust God to see you through. Tickets on sale on the homepage at www.rippletheater.com! To support Ripple Productions, click the donate button below. For more information, click the "Support Ripple" page.